Best ISP for multiple users? 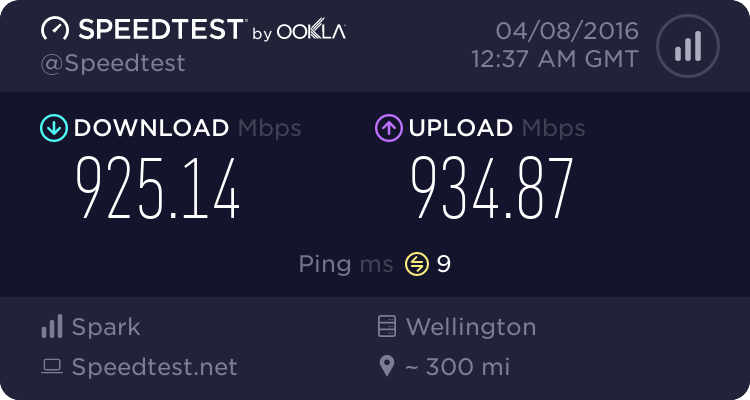 Forums › New Zealand Broadband › Best ISP for multiple users? Sideface: " ...we are supposedly eligble for VDSL." 1. Put your address into the Chorus Broadband Capability Map - can you get broadband >20Mbps? 2. Check your modem stats. What is the downstream attenuation on your ADSL connection? - this will give you a rough idea of how good your VDSL connection may be. To view more details such as Line Attenuation, SNR Margins and Errors, click on Details in the top right hand corner. As stated by others, you appear to have a poor ADSL connection because of a long line length to your location, and you are NOT likely to be able to get VDSL. Based on the position you showed in that Chrous map, it looks like your nearest cabinet is near the start of Odin St which is 2.5km away - too far for VDSL, and is not a fibre-fed cabinet so would not be able to do VDSL anyway. Your nearest fibre-fed cabinet is near the corner of Ngamoko and Mangnussen, which is about 5.5km away. VDSL does not seem likely unfortunately. As far as changing phone providers, you can change to a VoIP provider and keep your number, however if your dad wants to keep his Xtra email address the easiest thing might be to stick with Spark and change to an unlimited plan. There are definitely worse providers around with Spark so perhaps letting one bad customer service incident go might not be a bad thing. If you're interested in finding out more about where your DSL cabinets and other such things are, check out the map at http://gis.geek.nz. That's where I found out the information above. Also pretty sure the only way to keep your xtra email address is to stick with dialup at $20 per month or transfer it to someone who still has a spark broadband connection. To me I would just upgrade to unlimited and that should see you right. Plus also get your line checked to see if you need a master filter to get the best out of your connection. We have decided for now to stick with our current plan. Yep you are right I believe the exchange is on odin st, and i would've thought it would have at least vdsl due to a school being in close proximity to it. But this is fine for now I suppose. If a mod or freitasm can lock this thread, that would be nice.